I am a fairly new driver with almost 3 years of OTR experience some flatbed some van/reefer. I am looking for a good flatbed company to really settle down with. I've been doing a lot of job searching online, but It's hard to base my decision on what company to go with sololy on the company s websites/reviews on glass door exc. I'm looking for some real advice from honest drivers so if you are a recruiter, or a driver trying to get a bonus from me on don't bother. 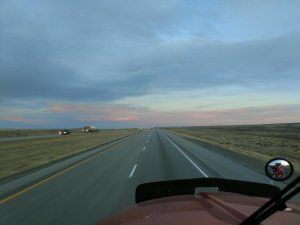 I live in Colorado, and I love trucking just looking for the right company. Any honest advice will be greatly appreciated!